Today, we’re excited to announce the availability of Lumberyard Beta 1.9, our biggest release yet. With over 473 improvements, fixes, and features, this release includes a new Player Account Cloud Gem for implementing player authentication in under 30 minutes, Component Entity workflow updates for building complex content faster, new GPU features and emitter types for the particle editor, so you can fill game worlds with visually stunning effects, and lots more. 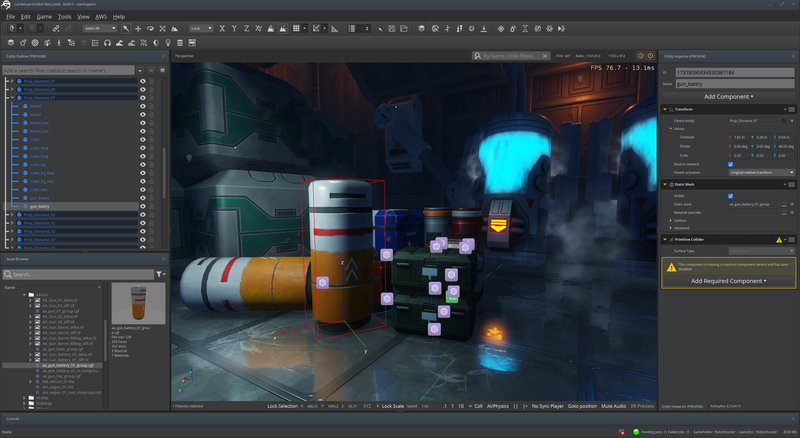 You can download Lumberyard Beta 1.9 here. One of the most common requests we got at GDC was to deliver more Cloud Gems. Released in February, our exclusive Cloud Gems Framework made it easier for developers to build and launch connected game elements (e.g. dynamic content, leaderboards, live messages) in as little as 30 minutes with one engineer. 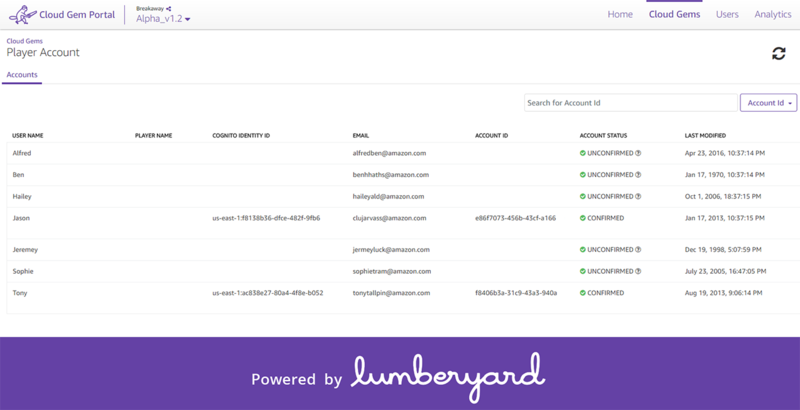 For this new release, we’re adding the Player Account Cloud Gem to Lumberyard’s growing collection of gems, providing a customizable, stand-alone solution for player authentication and management. If you’re looking to require a game key when players register for your game, or to store additional metadata for players in the cloud, the Player Account Cloud Gem will save you time and effort. We also debuted the latest workflows for the Component Entity system at GDC this year. Because of your feedback, we were able to make some key improvements to this release, providing a more modular and intuitive method for constructing game and engine elements. The goal with the new Component Entity system was simple: to help developers create complex, working entities faster and with minimal effort, regardless of whether you are building a small, casual game, or a massive, AAA experience. Let’s look at some ways we’ve recently improved the Component Entity system. First, the new Component Entity system employs reflection, serialization, and messaging to automatically expose features of components to designers, with no additional engineering required. This means you can drag-and-drop and edit component properties right in the Lumberyard Editor, creating fully cascading prefabs, which we call “slices,” in just a few clicks. Second, to help reduce your effort and accelerate iteration, we made it difficult to create entities that don’t work. For example, if you try to add a duplicate component on the same entity (e.g. more than one static mesh), the system won’t let you make that mistake. If a component requires another component to function (e.g. the simple animation component requires a skinned mesh to work), we automatically add the dependency, so you don’t have to. Third, we wanted to create more flexibility on how the new Component Entity system handles missing or mistaken configurations. An entity can now contain invalid and incompatible components, but we display any service problems with a new warning system. Warnings help you correct any problems and give you quick choices to fix missing dependencies. For instance, if you add a Primitive Collider without first adding a Shape, the Primitive Collider will suggest that you add a Shape, letting you choose the type of Shape you want in just one click. Until a Shape is added, the Primitive Collider doesn’t register, thus preventing runtime problems if you run the game before selecting a Shape. Lastly, thanks to your feedback, we’ve also made new usability improvements to the Entity Inspector. The Inspector can now remember the order in which Components are added, allowing you to rearrange Components more easily through the right-click menu. (We’re also planning to add drag-and-drop in a future release.) We have also enabled cutting, copying, and pasting Components across entities, improved the search functionality to help you navigate large amounts of content, and redesigned the component UI to improve readability. The particle editor also received a big update this month. Moving out of preview with this release, the particle editor includes dozens of new features, usability improvements, and improved mobile platform support, so you can more easily create stunning visual effects for your game. You told us that you wanted simpler and more flexible emitter handling, so you could better achieve an epic scale of particle effects. You also wanted more specialized emitter types to help you iterate faster. With the release, you got it all. 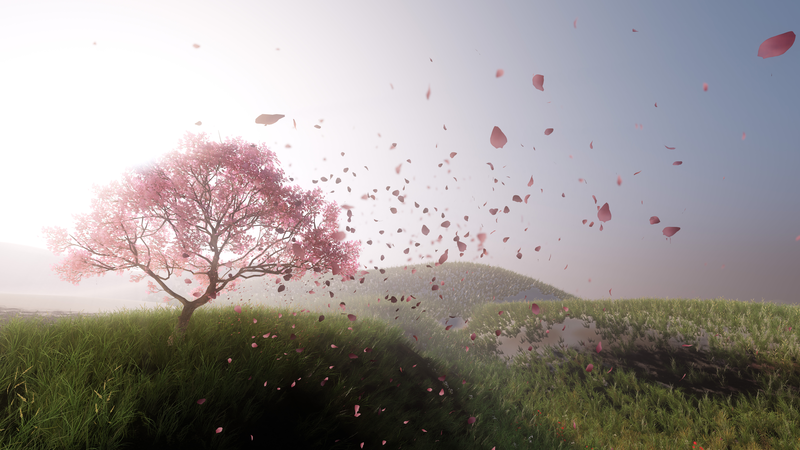 Lumberyard Beta 1.9 includes re-configurable emitter hierarchies for easily managing your emitter parent-child relationships, GPU feature additions for pushing hundreds of thousands of particles in an effect, and five new emitter types. There’s a lot more to Lumberyard Beta 1.9, so be sure to check out the full release notes here. Other highlights include a new one-step, express installation process, support for both Z-up and Y-up world coordinates in the FBX importer, improved search functionality for the Asset Browser, Component Entity and Lua support for the UI Editor and Twitch Metastream, support for versioned Gems, and much more. Of course, it was impossible to address all of the great feedback that came out of GDC in just the last six weeks. We’re continuing to practice kaizen by aggressively iterating on workflows, improving engine performance, integrating new cloud capabilities, helping you build the most ambitious and highest-quality, multiplayer, live, and community-driven games. Please continue sending feedback and suggestions to our forums or by emailing us. The team loves hearing from you.